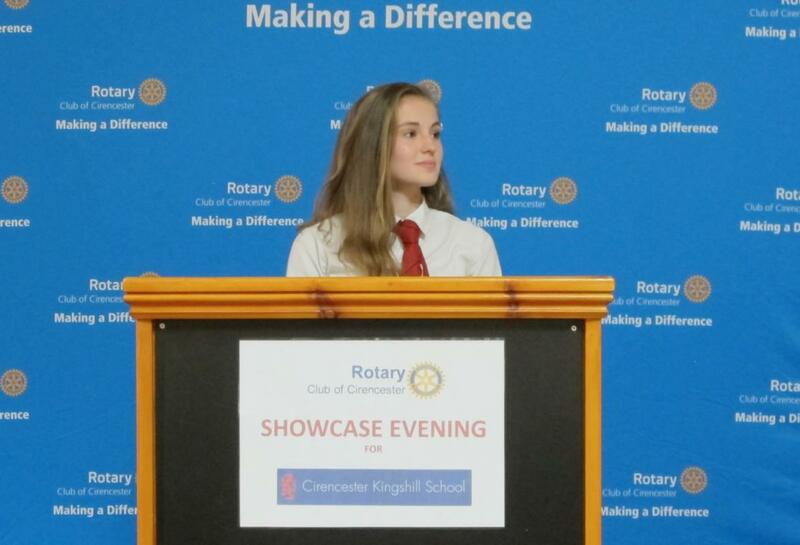 Cirencester Rotary Club was very pleased to sponsor this year's Public Speaking Competition at Kingshill School, designed to develop public speaking skills and self confidence of more than 500 young people in the school. 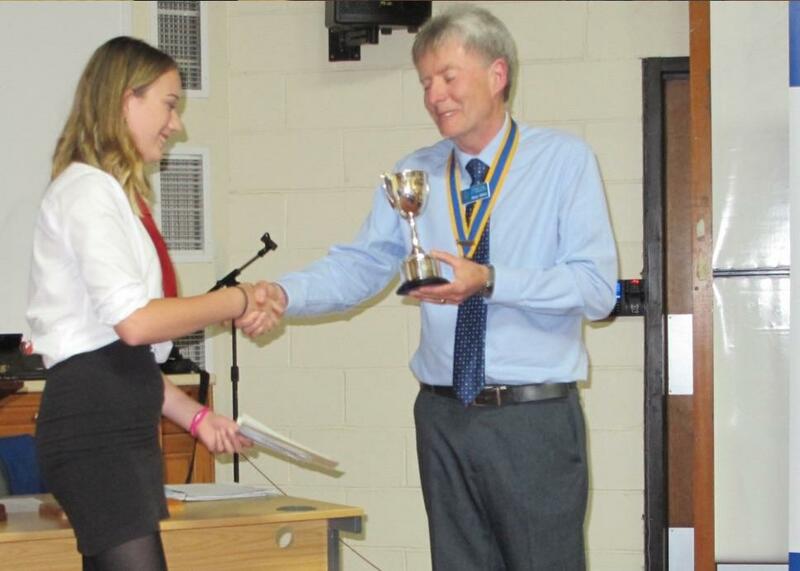 Following speaches by nearly every pupil in years 8, 9, and 10, a total of six from each year were selected by their classmates to go through to this year’s final. 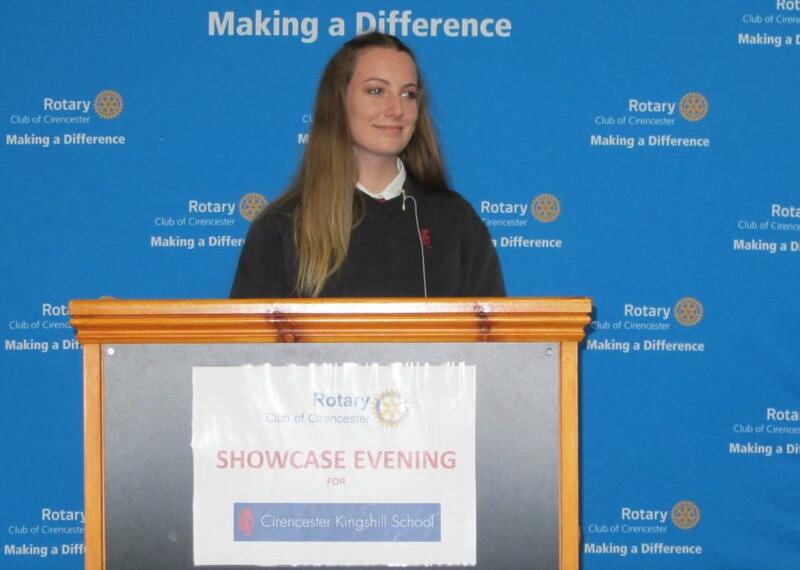 The standard of public speaking was exceptional and the three Rotarian judges were very impressed by the quality and authority of all the speakers. 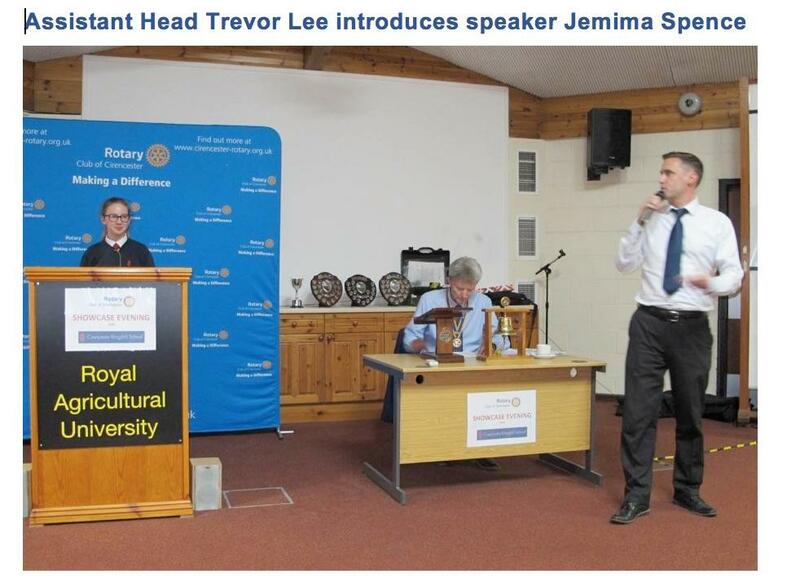 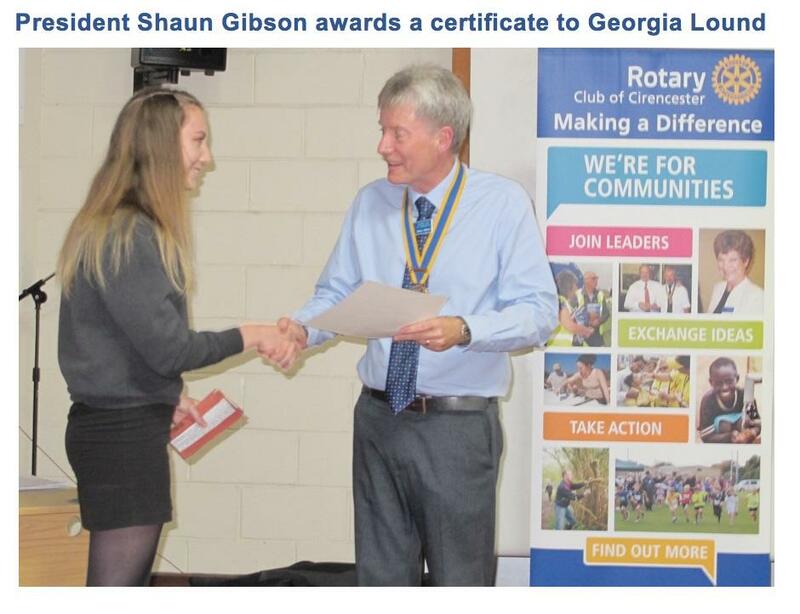 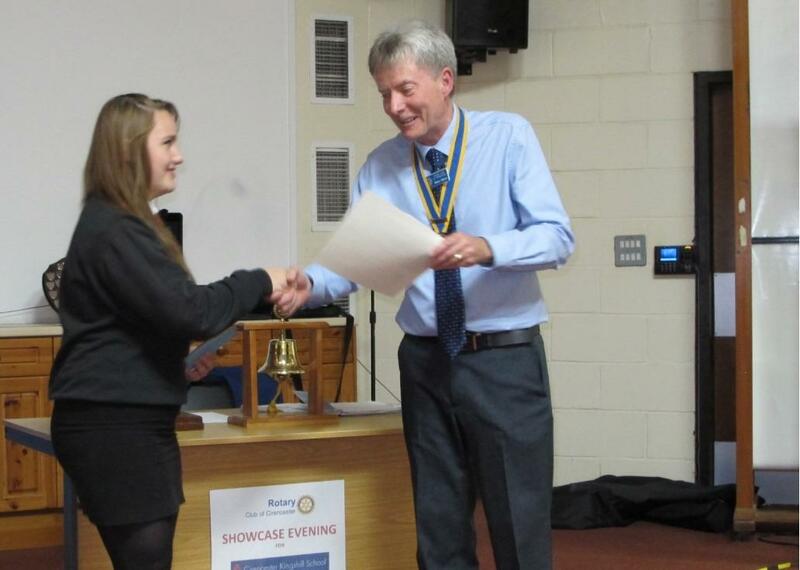 Local Rotarian Chris Rowbotham said, “This annual competition is a great opportunity to help develop the presentation skills of so many young people. 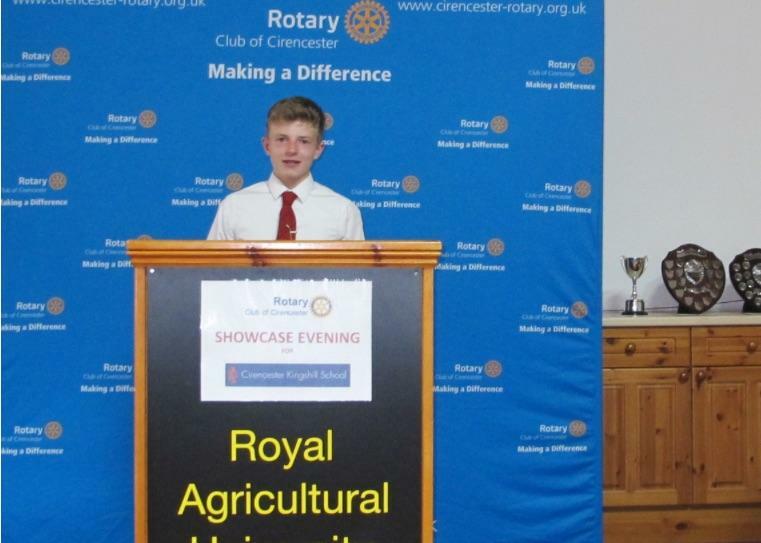 Our congratulations go to all 18 finalists and our thanks go to Kingshill School for the use of their facilities and to Assistant Head Trevor Lee for organising the competition within the school." 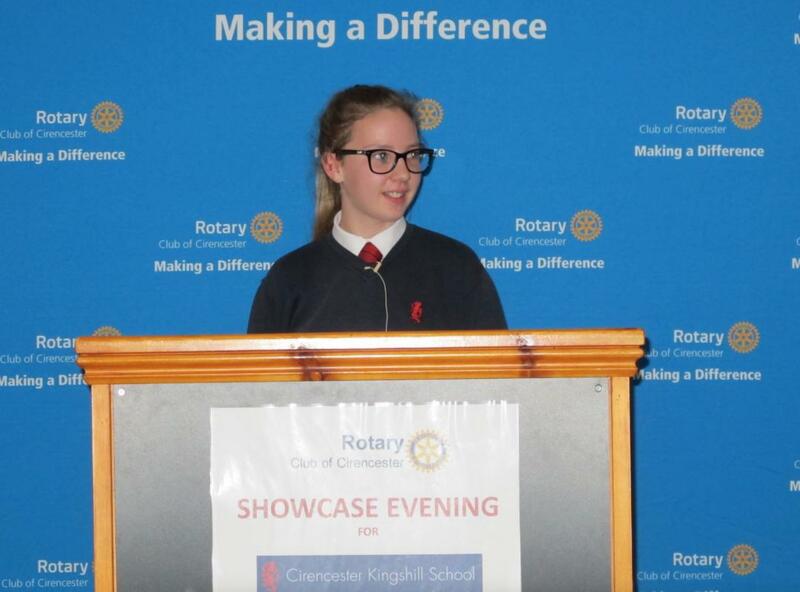 · Year 10: Winner – “Earthquake” by Georgia Lound; Runner-up – “Humans have a lot to answer for” by Lucy Coombes. 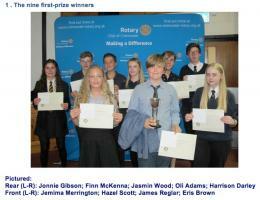 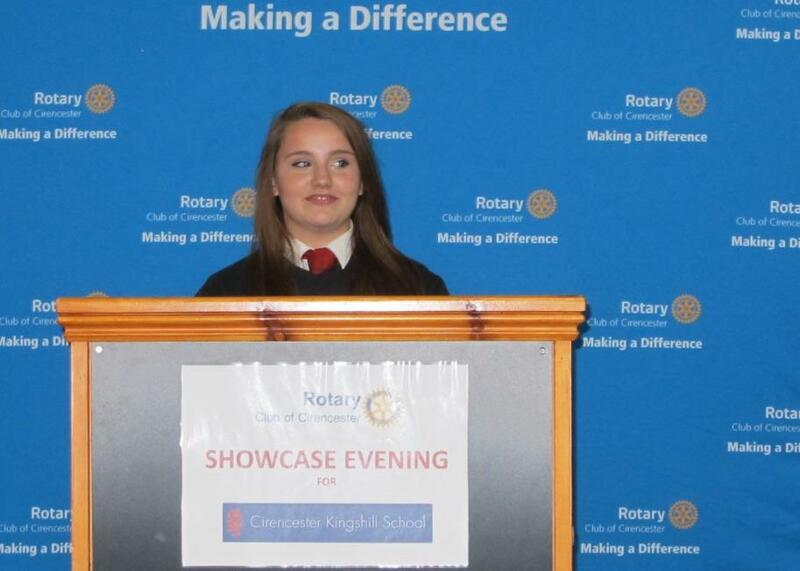 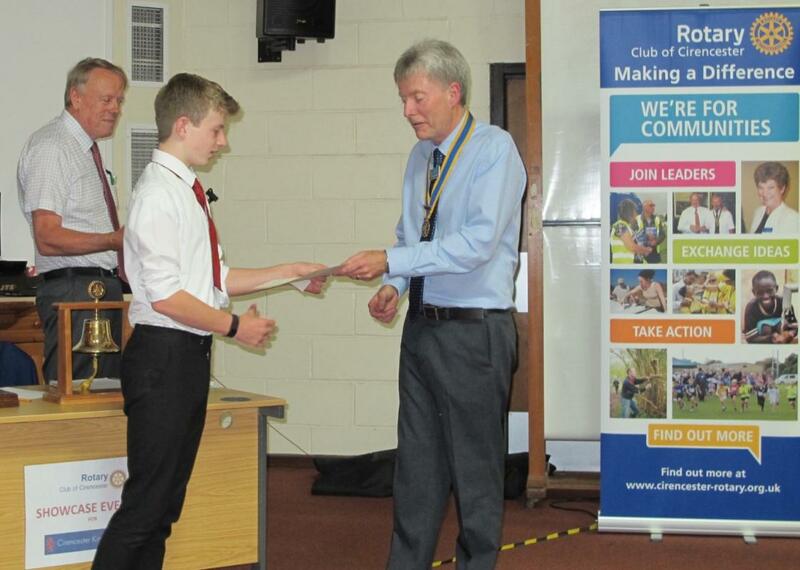 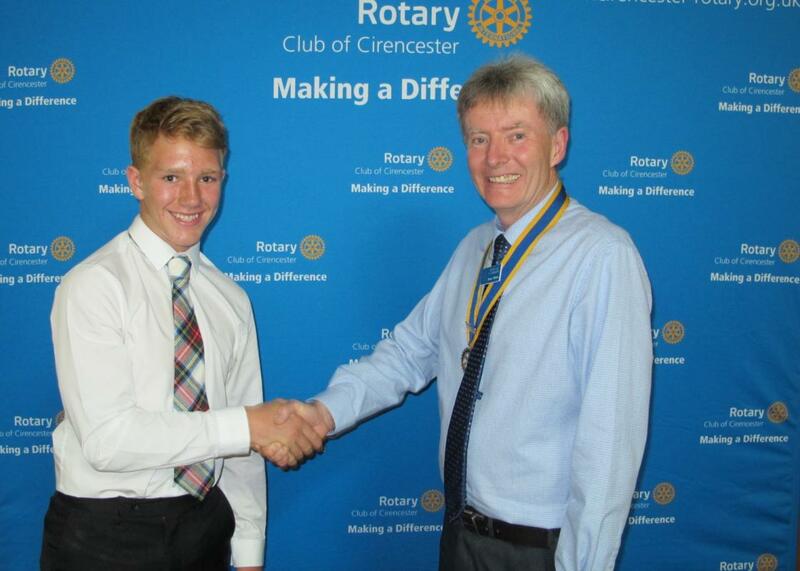 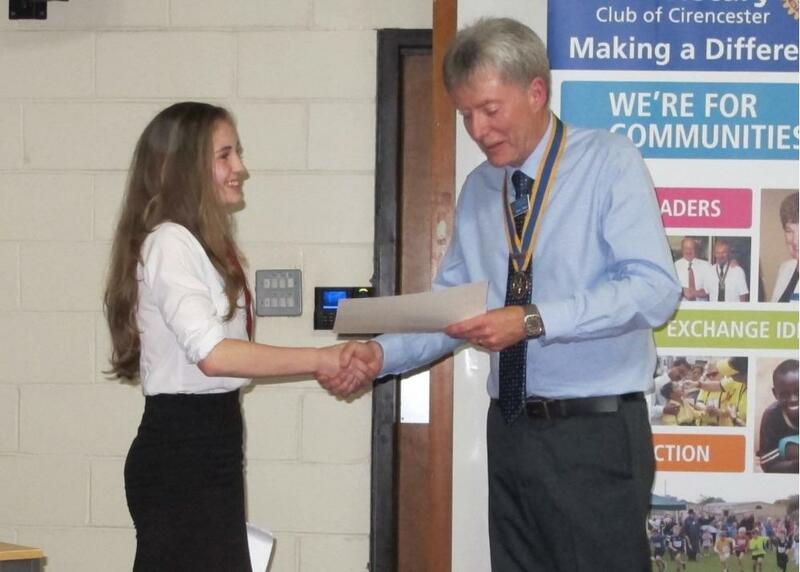 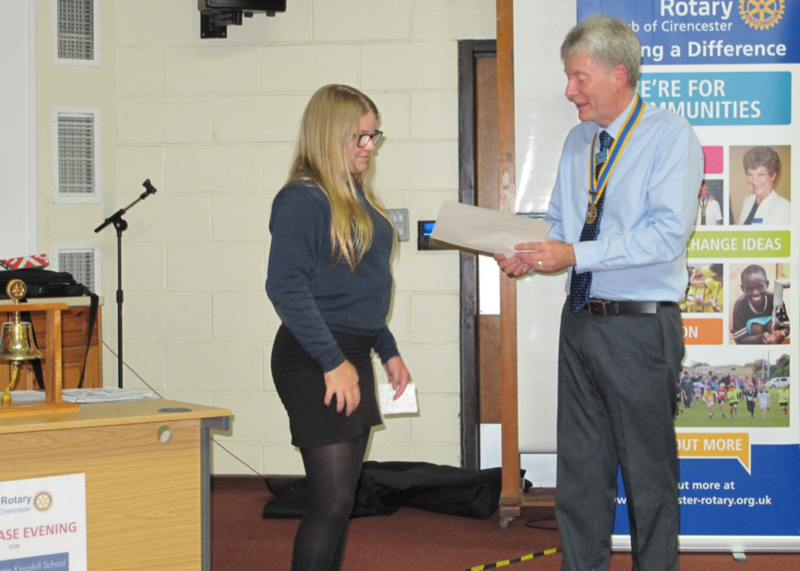 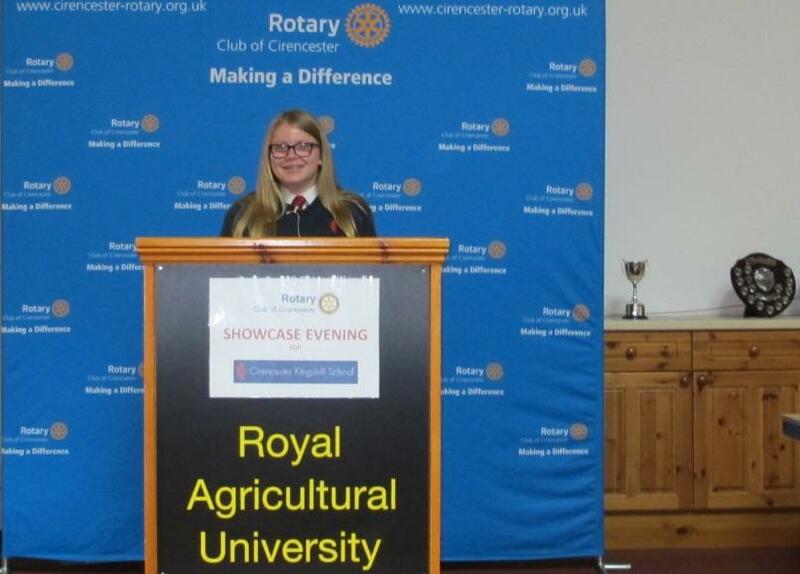 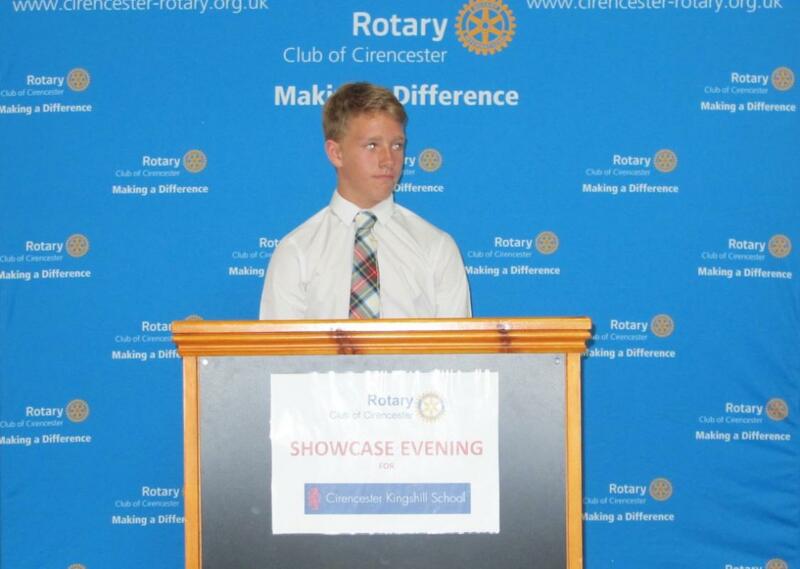 Cirencester Rotary was pleased to sponsor this year's Public Speaking Competition at 3 local schools. 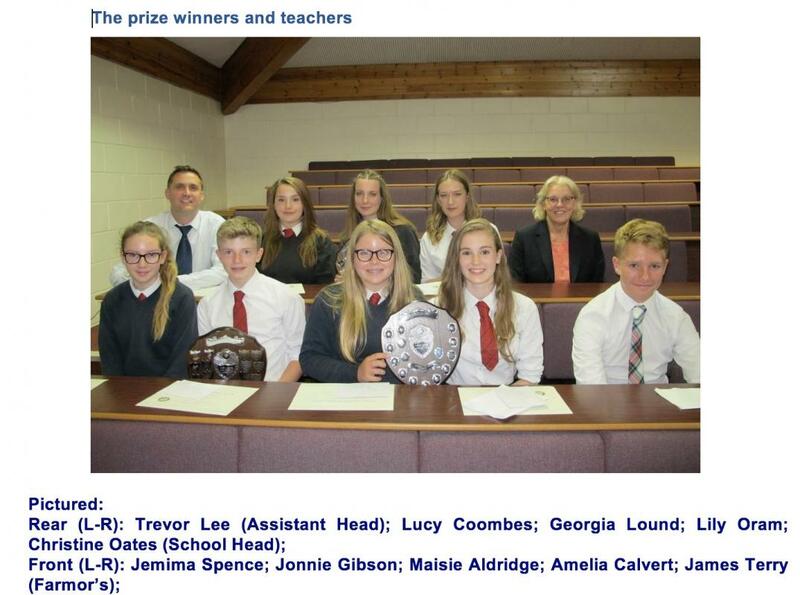 Listen to Corinium Radio's broadcast on link in report below.